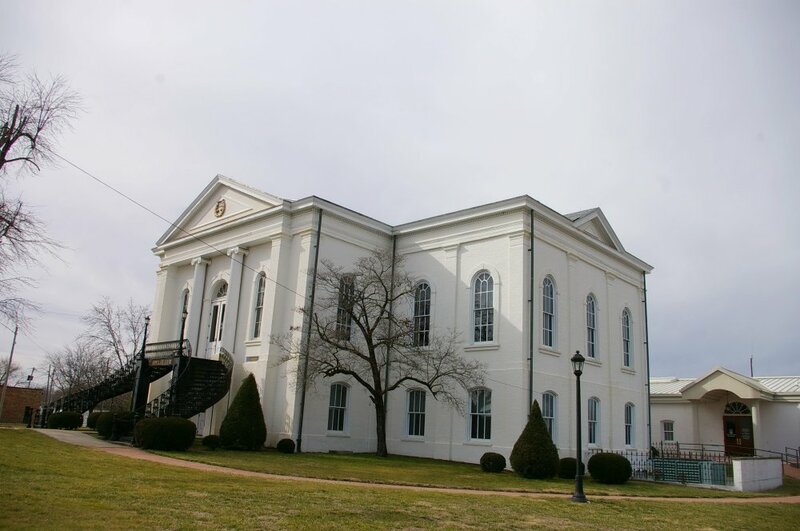 Description: The building faces east and is a two story white colored structure. 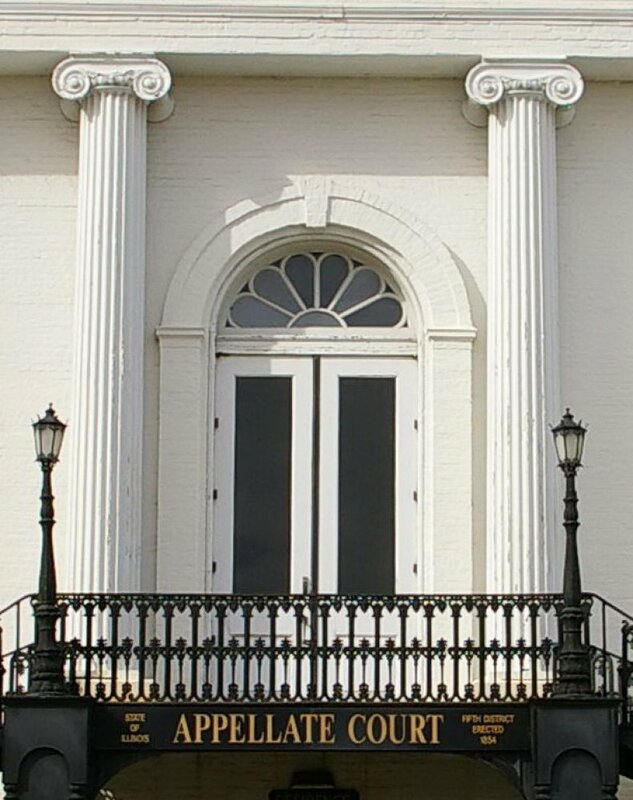 The east front has iron steps to the second story arched entrance. 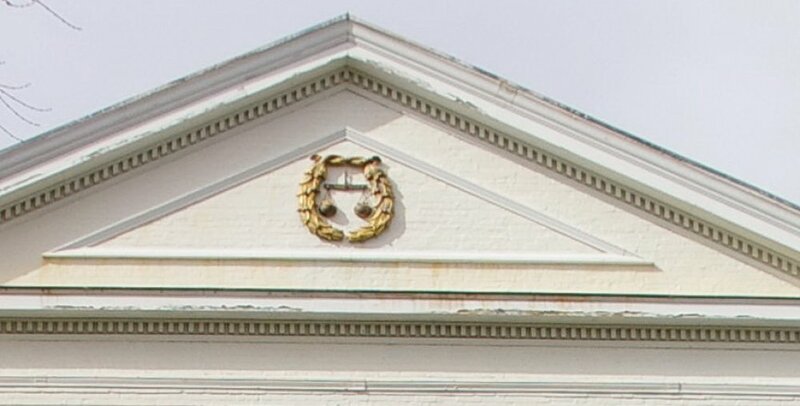 There are two white columns rising to a pediment at the roof line. The windows are narrow and arched. 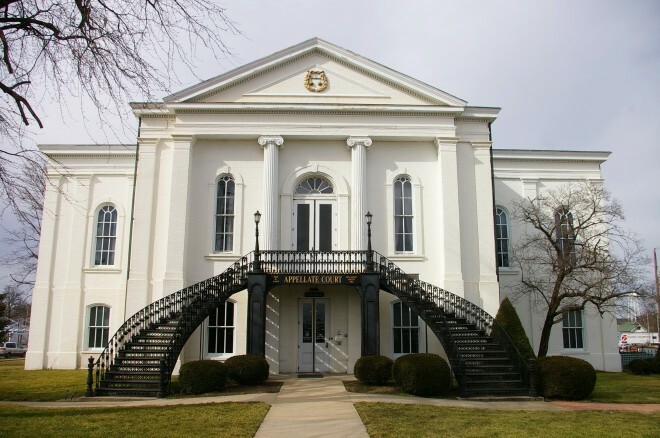 The north and south wings were added in 1874 converting the building into the shape of a Greek Cross. 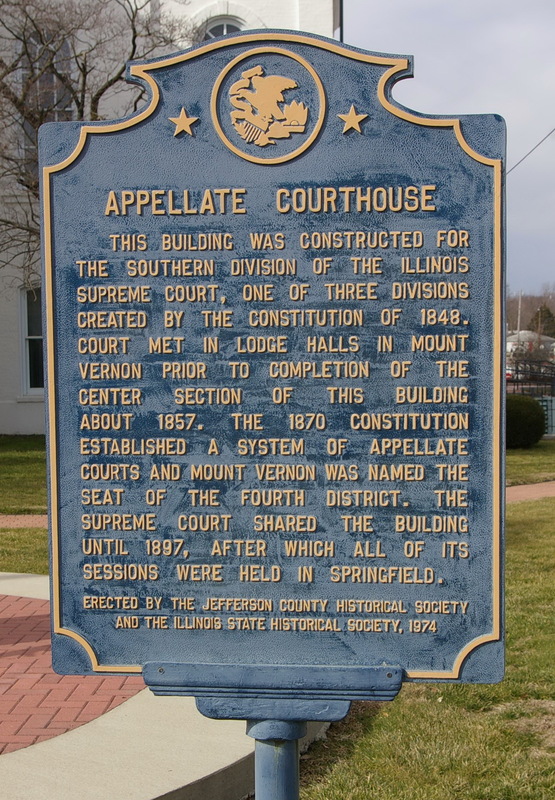 The building houses the Fifth District Appellate Court. 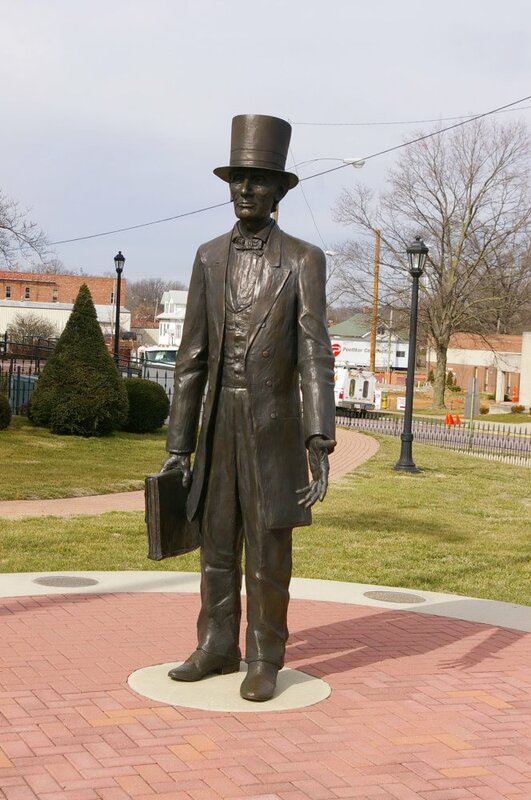 Note: Charles H Pound of St. Louis, Missouri, was selected as contractor with a bid of $12,000. The plans and specifications were prepared by the Honorable Walter B Scates, associate judge, in 1854. 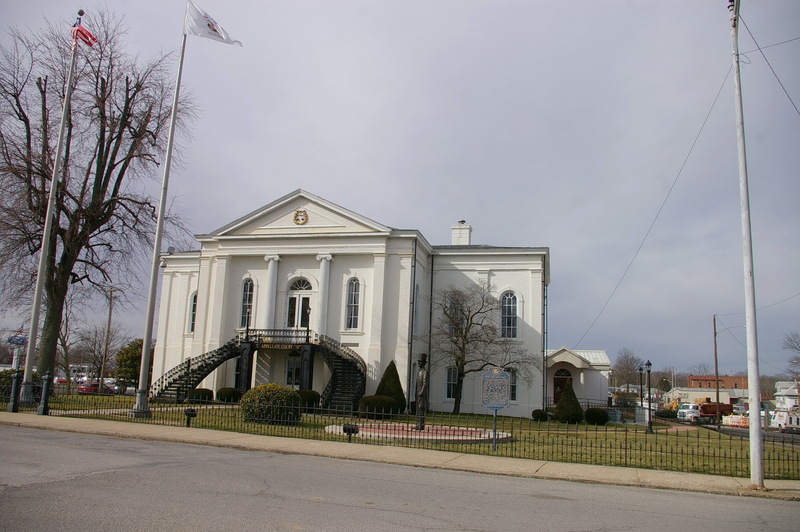 See: The courthouse is located in Jefferson County.